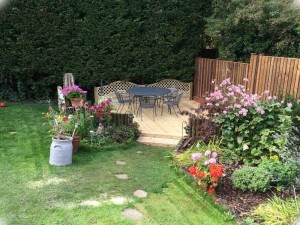 Sambourne Fencing are contractors who have a reputation built on excellence, with many satisfied clients. Want to learn more about us as a company? Learn about us as a company, we are friendly and professional. Fencing and landscaping tailored to your specific needs and requirements. Jobs completed to a high standard of finish with professional and friendly staff. Get in contact with us now for a now obligation quote. Enjoy the beauty of the great outdoors. Your garden is an untapped resource of potential. Sambourne Fencing has been established in the fencing trade for more than thirty years, carrying out work for both domestic and commercial sectors. Our vast range of products on offer includes security and steel palisade fencing. Sambourne Fencing are contractors who have a reputation built on excellence, with many satisfied clients returning to us time and time again. Customer satisfaction is our number one priority, which is why every job is carried out with care, pride, and professionalism. All of our work is fully insured, and our fencing fitters are qualified and experienced. Request a quote for landscape gardening available throughout Redditch, Worcestershire, and surrounding areas, which includes everything from installing fences to repairing gates.